The Colours of Calcutta Foundation carries out this programme of cooperation for development in collaboration with the local NGO Seva Sangh Samiti (Committee of Mutual Help in Bengali). Seva Sangh Samiti was founded in 1968 by Father Laborde, a French priest whose story was reflected in the novel The City of Joy by Dominique Lapierre. Father Laborde arrived in the slum of Pilkhana in the sixties, one of the biggest slums in India, and on seeing the extreme poverty he decided to stay. At first he formed a small committee made up of residents of the district, which was established as an association in 1968 and grew little by little, developing its work continuously over more than 40 years. 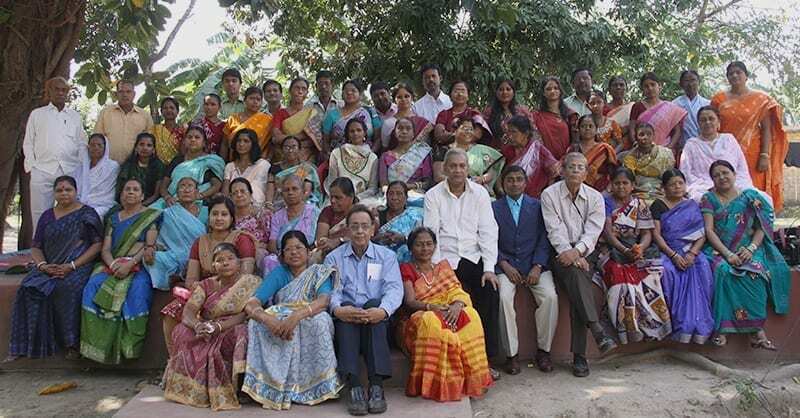 The team at Seva Sangh Samiti (50 people) that carries out the projects is made up entirely of local workers, the majority of whom live in Pilkhana itself and have been provided with the necessary training to do their work; the rest are professionals in the area, with extensive expertise in different fields, who have joined the project. This allows for complete integration into the district and makes it possible for the residents themselves to be the driving force for the development of the community. Seva Sangh Samiti is enrolled on the Register of Societies of the state of Occidental Bengal no. s/8870 from 1967-1968. It is also registered to the Ministry of Internal Affairs of the Central Government of India in New Delhi with the number 147000036 from the 25th April 1985.